Wanna enjoy bicycle training regardless of the bad weather outdoors? 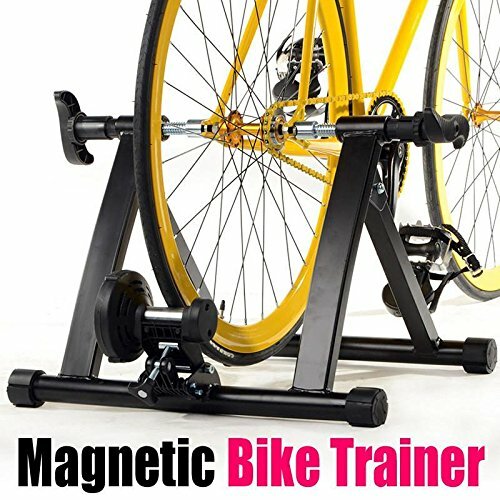 Our indoor magnetic bike trainer is perfect for you. It fits 66cm/26" and 700C bike's wheel. It is built with heavy duty frame and its max load up to 150 kg/330 lb. With this cycle trainer, you can watch TV and enjoy your riding. Converts your bike into an indoor cycling trainer, no more worries about the weather, just cycling at home! If you have any questions about this product by Gotobuy, contact us by completing and submitting the form below. If you are looking for a specif part number, please include it with your message.